On Saturday the sun shone brightly all day in London, and I smelt the optimistic promise of spring in the air. It's easy to forget the charm of the season in the cold, dark depths of winter, but now I have had a taste of S/S I am excited for the promise of budding flowers, frolicking lambs and fluffy cloud-strewn blue skies. Taking one look at my winter wardrobe - comprising of a palette of charcoal, black and navy - I know it will be soon to banished to winter storage; dark colours just don't feel 'right' when the outside world is so colourful and full of life. 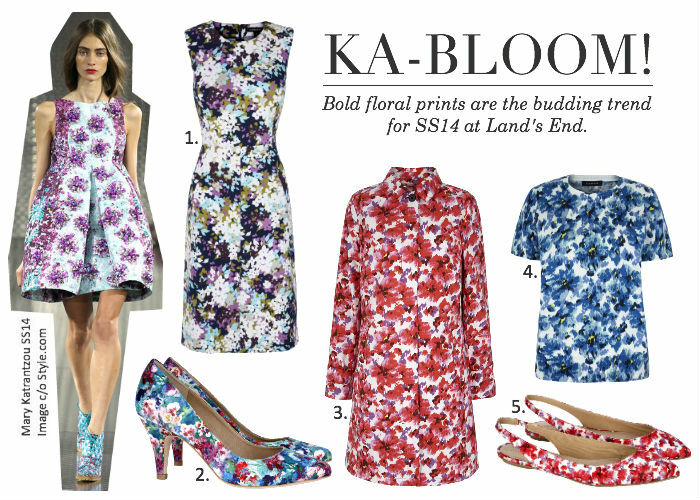 Top of my seasonal wish list is Christopher Kane's anatomical flower tee (no.1), the coolest way to do floral prints for SS14. 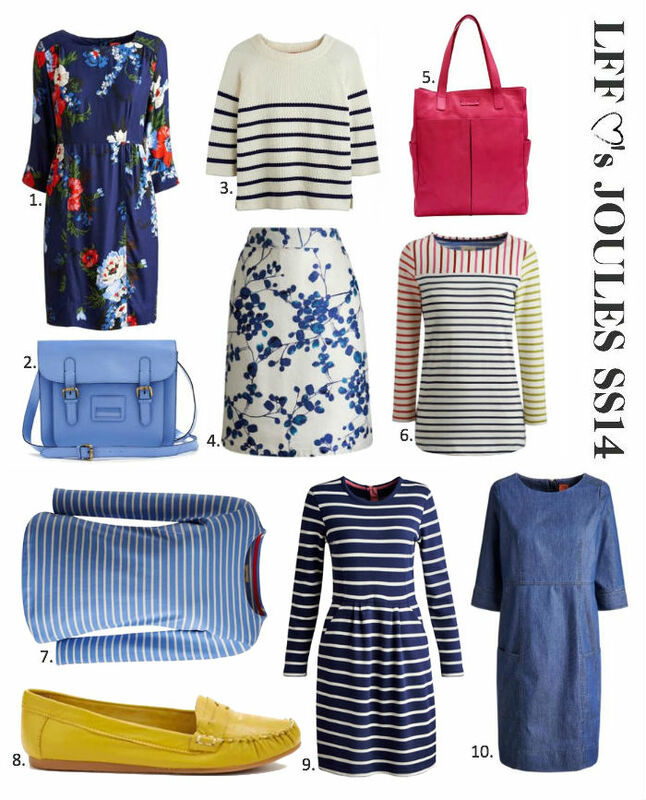 Stripes have that fresh, breezy spring-appropriate look and Whistles' Izzy tee (no.5) has a boxy cut to update the classic breton for the season. It might not be toe-baring weather just yet, but I will also be snapping up Clarks' 'Studio Punch' jewelled acid bright sandals (no.4) before they sell out - they offer the Prada look without the eye-watering price tag. 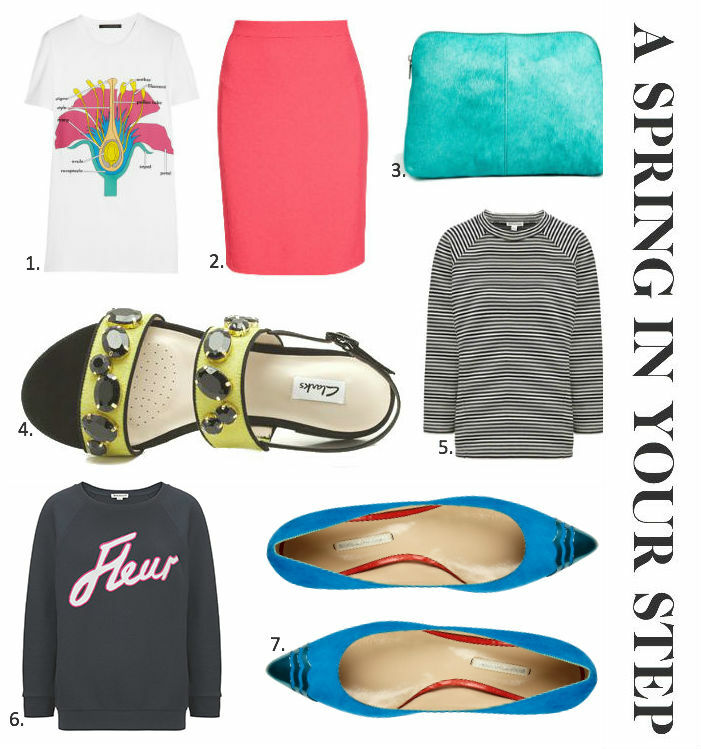 Have you purchased any spring fashion yet? 1. Christopher Kane printed cotton tee, Net-a-porter.com, £180. 2. Crepe pencil skirt, Topshop, £38. 3. 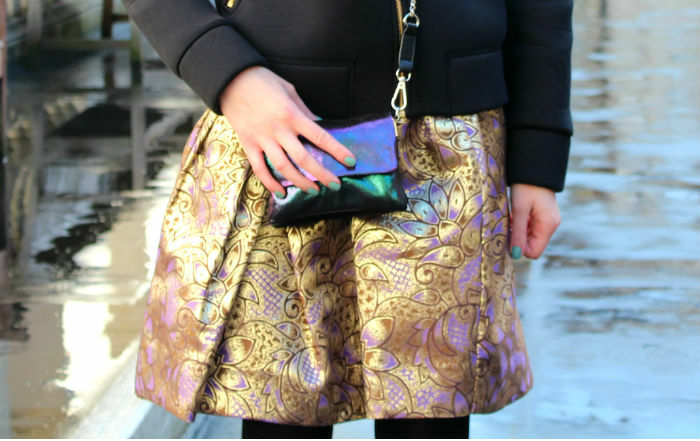 Pony & leather clutch bag, ASOS, £30. 4. Studio Punch sandals in lime, Clarks, £49.99. 5. Izzy double face stripe top, Whistles, £65. 6. Fleur logo sweater, Whistles, £75. 7. Nicholas Kirkwood ballet flats, The Outnet, £223. Valentines day: whether you're a lover or a hater, I think it's a fun excuse to dress up in something feminine and romantic. 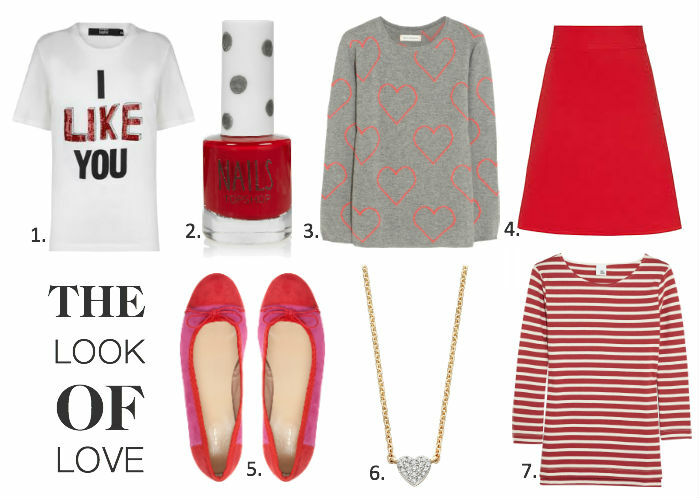 A pop of pink, a flash of red or a cute heart print should set the mood. Saying that, I am not a fan of temporary trends, so the below edit has been selected with post St Valentine's day in mind - all are classic buys that will work all year round. Whatever you're doing, don't forget to treat yourself too! 1. Markus Lupfer tee, Farfetch.com, £94.60. 2. Nails in Lacquered, Topshop, £5. 3. Chinti and Parker heart print cashmere sweater, Net-a-porter.com, £350. 4. Dene red mini skirt, Reiss, £110. 5. Ariel pumps, John Lewis, £65. 6. Diamond and gold heart pendant, Astley Clarke, £650. 7. Iris and Ink stripe tee, The Outnet, £45. UGG Australia have taken a fashion forward direction of late - signing up fashionable faces that include Suki Waterhouse, Chloe Norgaard, Bip Ling, Natalie Hartley to front their SS14 campaign and advise on style from the brand’s ‘Creative Council’. It’s a cool move that meets LFF approval – the kaleidoscopic, colourful collection breathes new life into the classic boots. UGG sent me a pair of the Alloway slippers (suitable for indoor and outdoor wear) to review to review (link below in my gallery) – this is my 2nd pair from the brand and I am really impressed with the quality – they’re sturdy, well made shoes. And the luxurious feeling of sheepskin underfoot makes cold winter mornings (almost) bearable. A couple of tips: sizing runs small so choose a size up for a comfortable fit and avoid wearing the slippers on rainy days as they will loose their shape. What do you make of the campaign? VALENTINES COMPETITION: WIN AN ANNA LOU OF LONDON NECKLACE! I'm really excited to be running my first ever blog competition, especially because it's in collaboration with a jewellery brand that I absolutely love: Anna Lou of London. 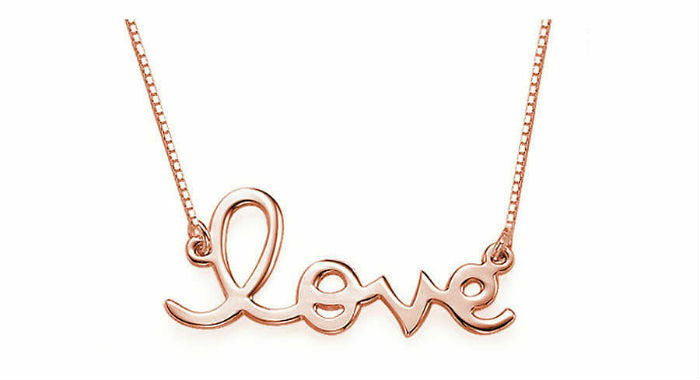 To celebrate Valentines day, LFF & ALOL are giving away a chic 18kt rose gold plated handwritten 'Love' necklace. This is a super pretty piece, ideal for layering with fine chains - I'd love to keep it myself! 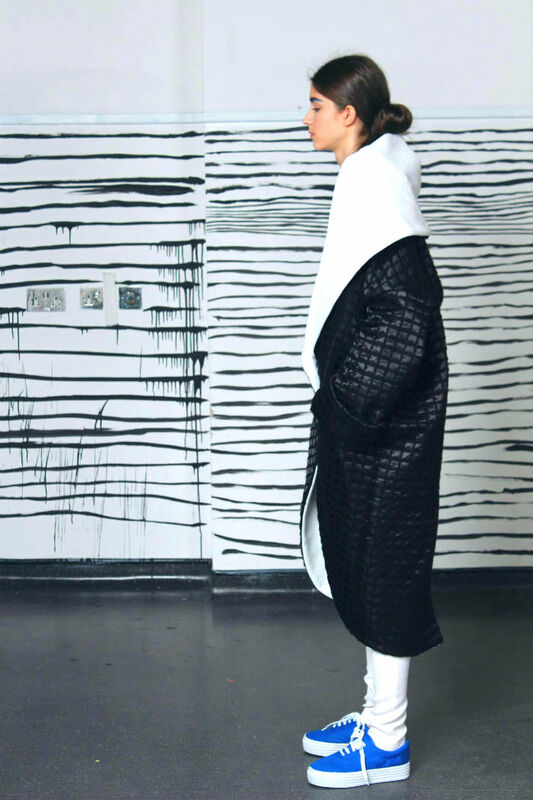 Full product details can be found on the Anna Lou website here. To enter you will need to follow Anna Lou of London and LFF on Facebook & Twitter using the super-simple Rafflecopter ap below. Competition ends 14th Feb & I'll announce the winner the week after. Good luck! 1. Jersey shift dress, £59.95. 2. Floral courts, £69.95. 3. Floral raincoat, £149. 4. Short sleeve floral jumper, £34.95. 5. Lucy slingback shoes, £34.95.